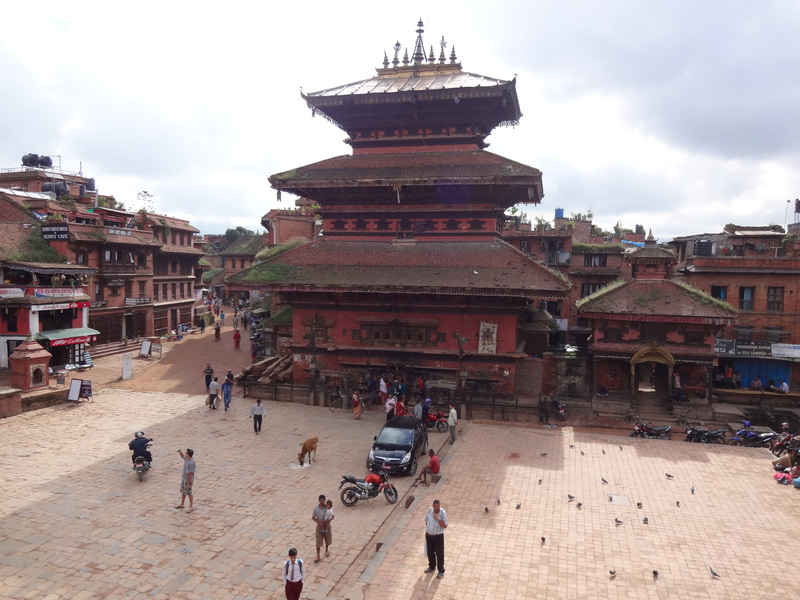 Bhaktapur village. 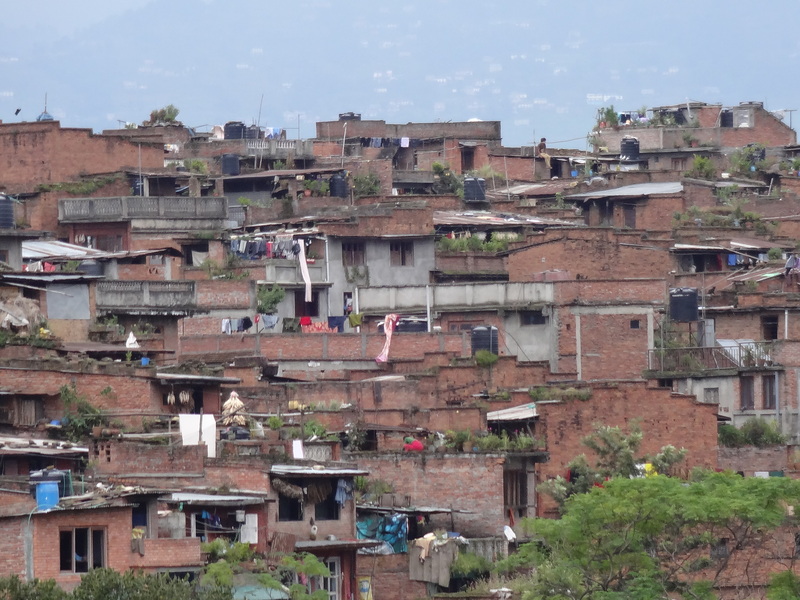 From a distance the village looks quite large but ramshackle. Close up its a different story. 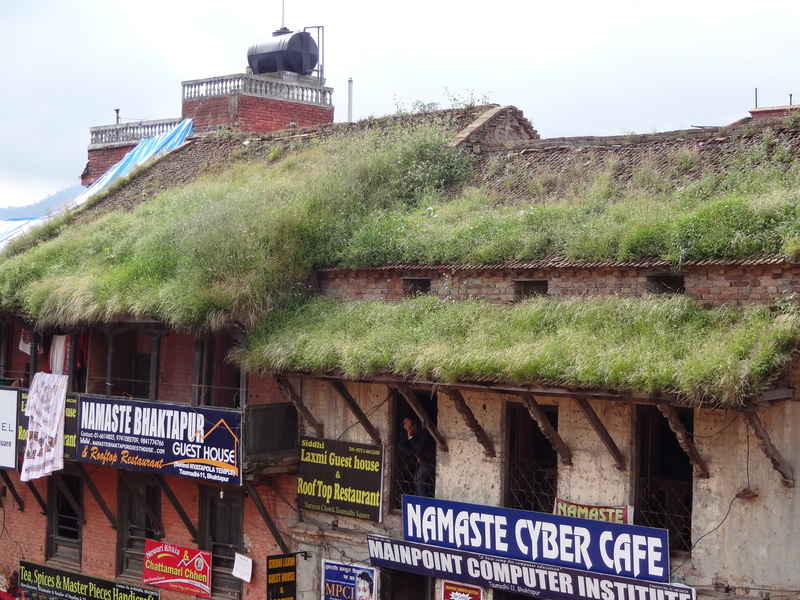 Shortly into our first few weeks into Nepalese life, it was a three day weekend and our only and last chance to see something of our surroundings before Latham and I had to leave for London to settle him into University. Knowing very little about where we were and what there was to do, I asked around for advice. 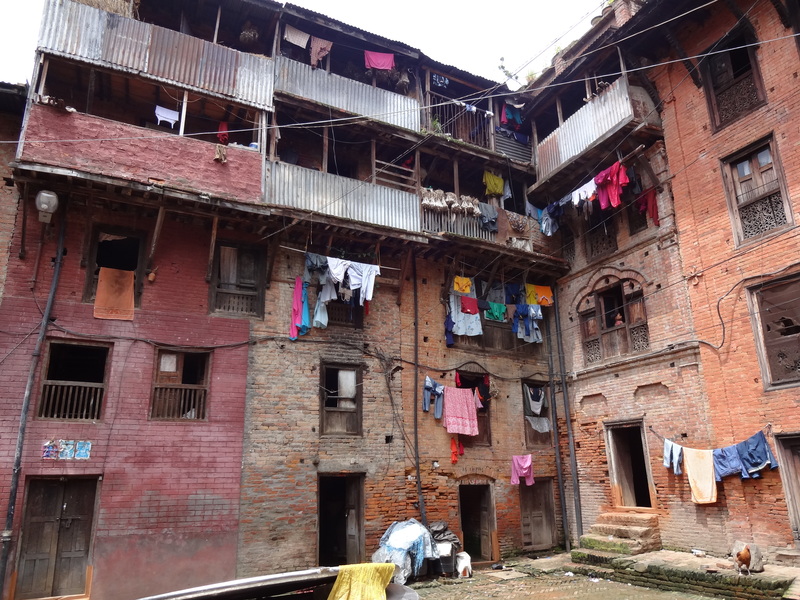 Bhaktapur is a short drive of less than an hour out of Kathmandu and recommended by many, so we headed there for a two night stay. 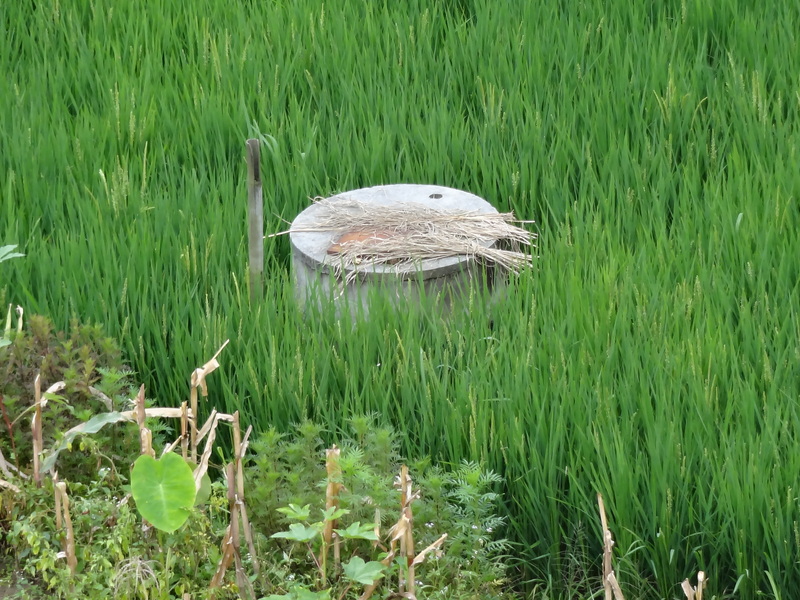 We stayed at the attractive Heritage Hotel a short distance outside the town, surrounded by rice fields. 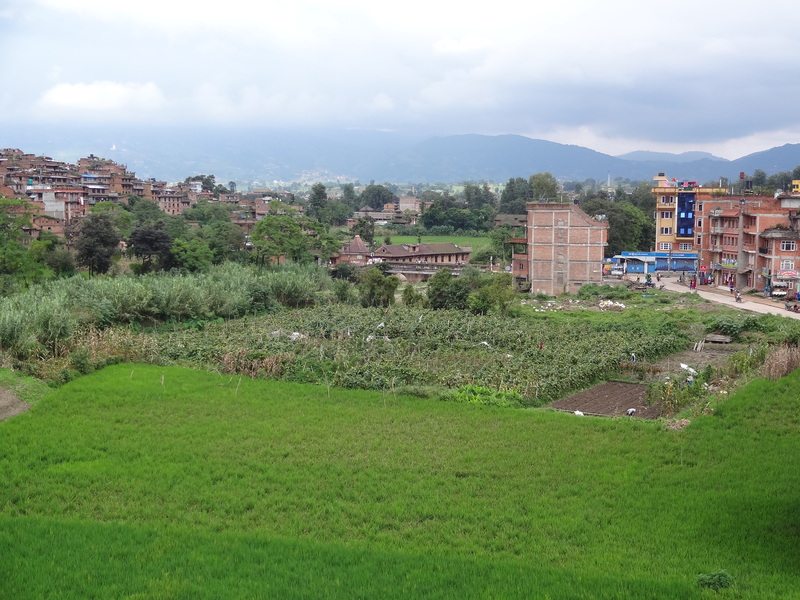 From our room on the 5th floor we had access to a roof terrace and 360 degree views to the town and its outskirts. It was wonderful to be out of a city environment after such a short drive and watching every day life and the world go by was fascinating. 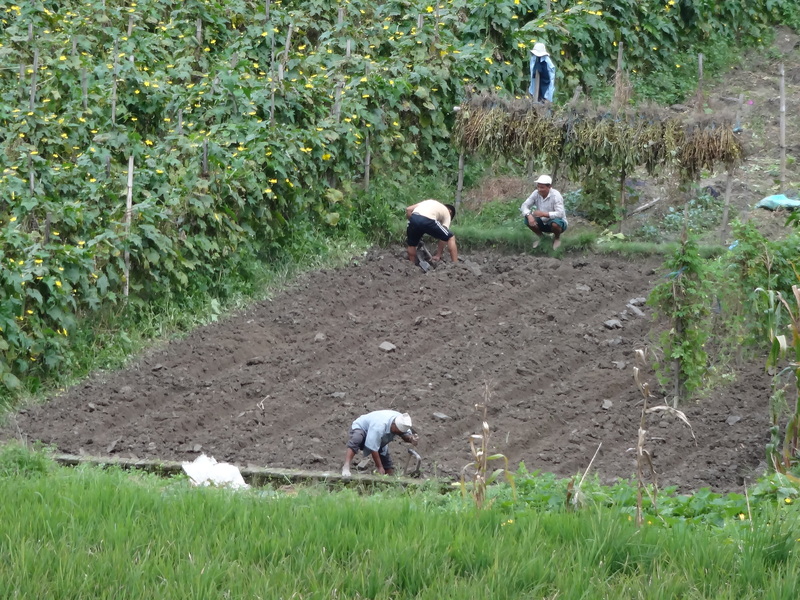 Watching crops being planted in nearby fields. That’s okra growing to the left. 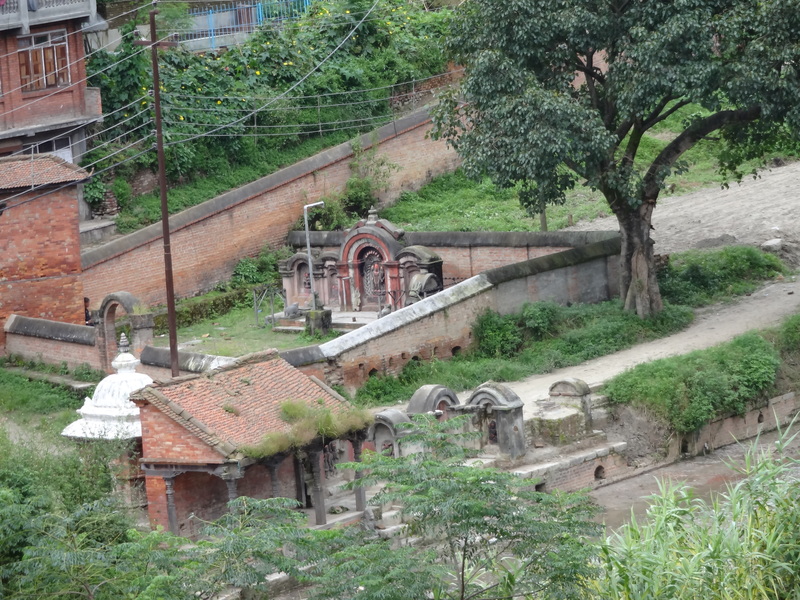 Small shrines and unexpected antique construction is tucked away in unexpected places. 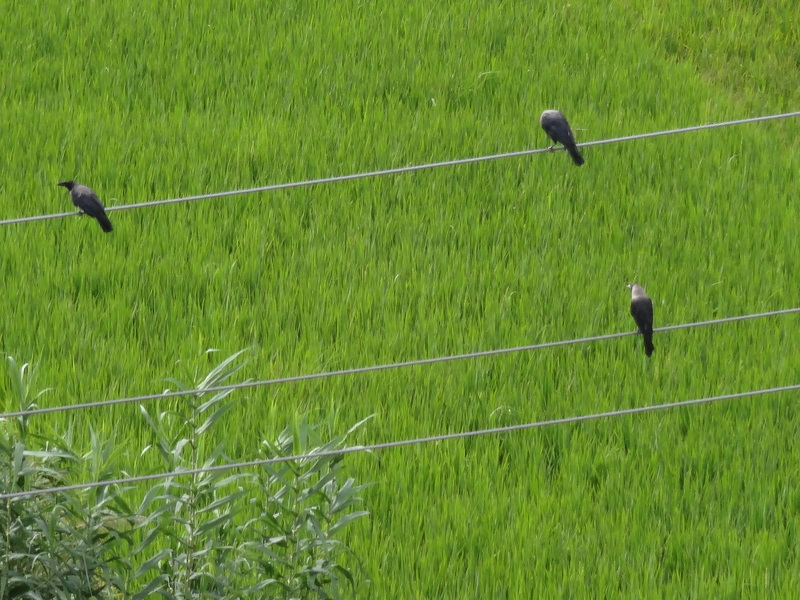 Crows seem to everywhere in Nepal. These were watching over the world just like me. 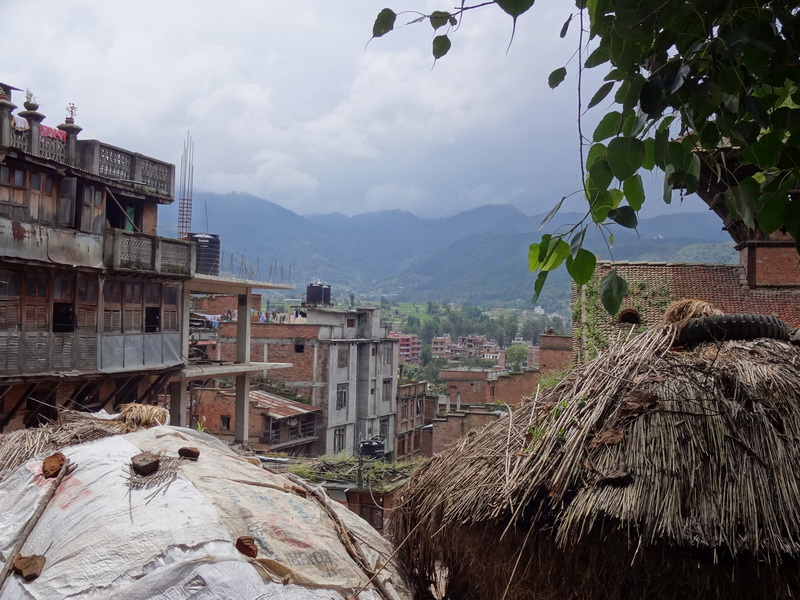 The village was a 5-10 minute walk from the hotel across an ancient bridge. There’s a quite steep entrance fee of approximately $11/person for foreigners which is towards the preservation of the village (hopefully). With a photocopy of your passport the entrance fee becomes valid for several days, but no one seemed to be watching after our first visit. 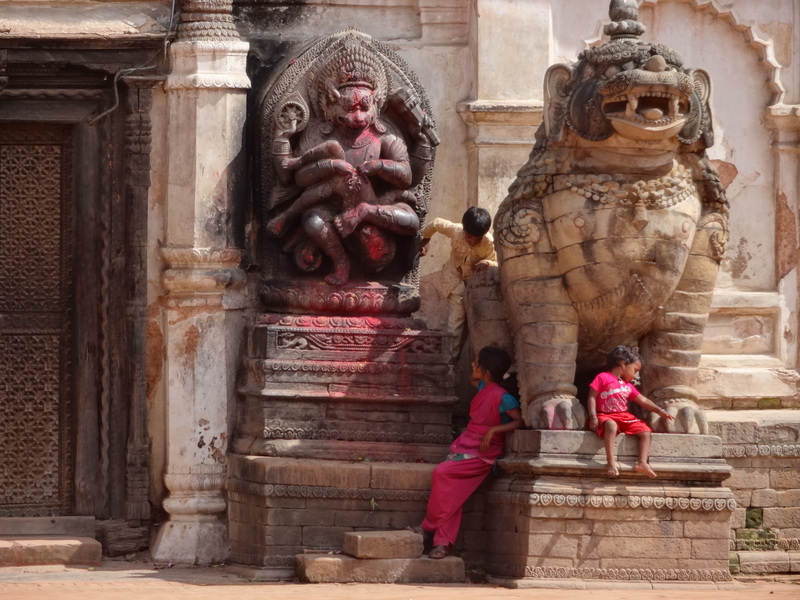 There weren’t many western tourists, so perhaps they just recognized us and left us alone. 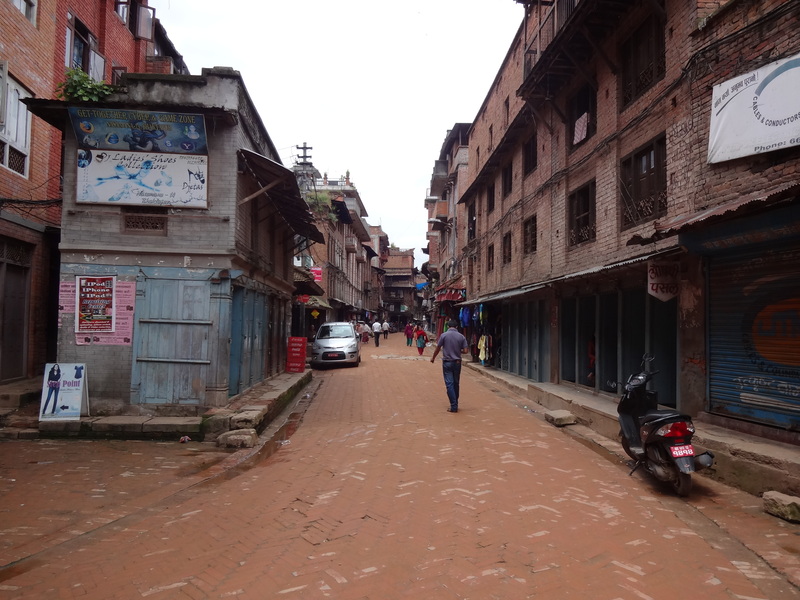 Bhaktapur streets were bricked and narrow. Busy with everyday traffic, apart from the occassional motorcycle, car or printed advertisement, there was very little of 21st century life to be seen. 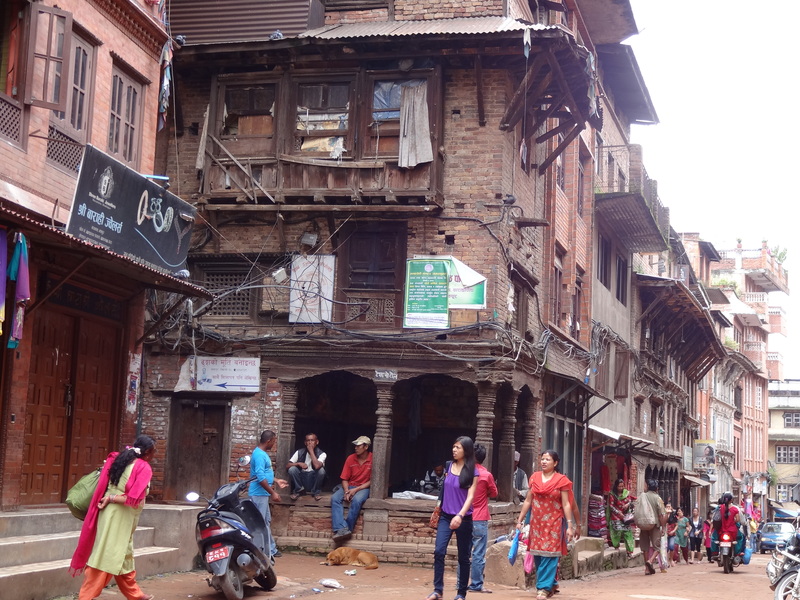 Considering there were few western tourists, I felt pretty comfortable walking around. 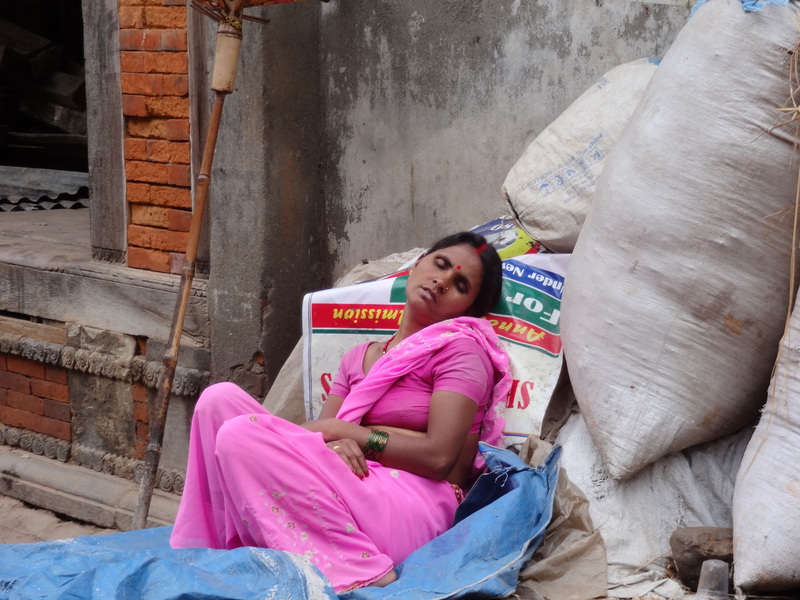 I felt noticed but not conspicuous, so it was easy to wander and explore. 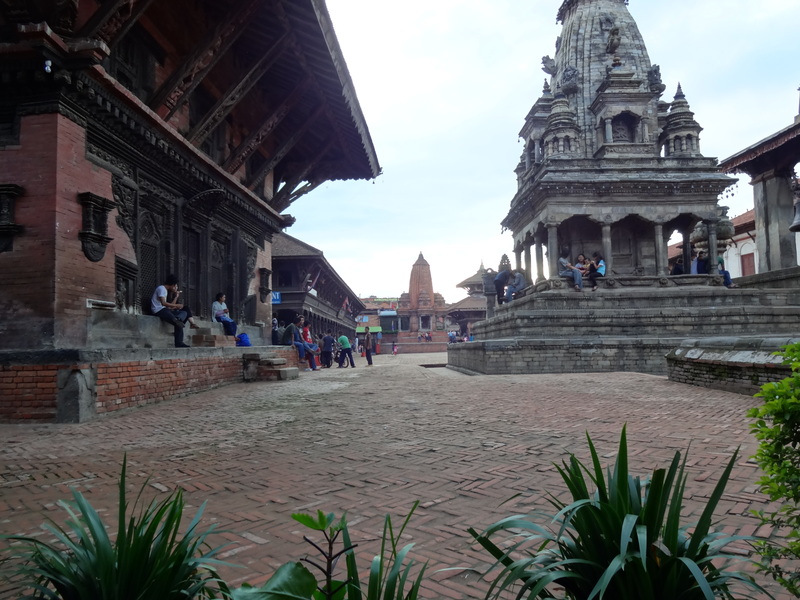 Bhaktapur is pretty large to explore on foot and a warren of streets. We spent two days looking around but certainly didn’t discover it all or see find half of it secrets. 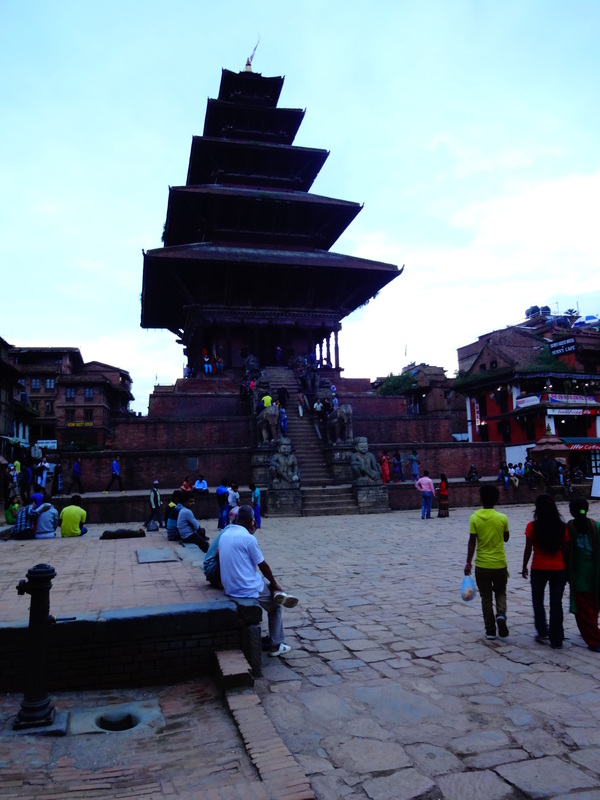 The main attractions are the large squares, Durbar Square being the largest and a world heritage site. 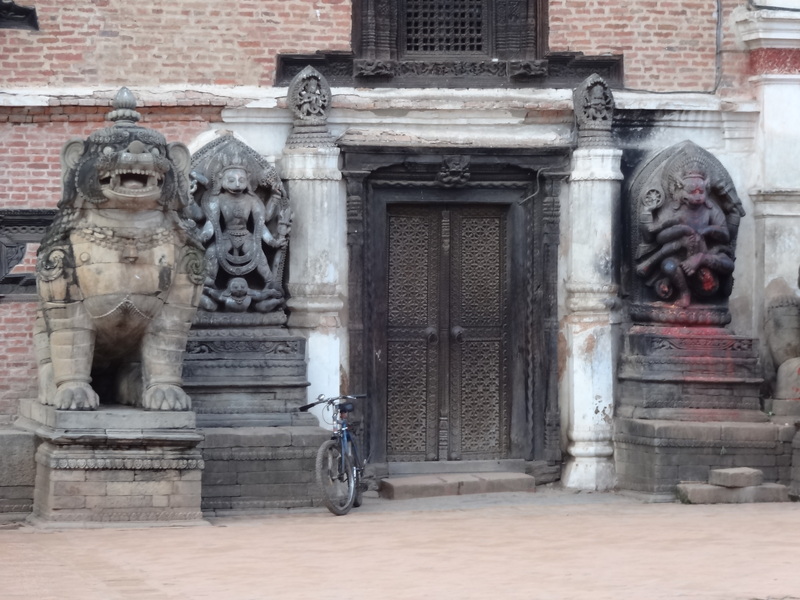 Its a pretty amazing collection of temples, sacred sites, statues, gateways, and ancient architecture which is all mind-blowingly packed into a large medieval square. All of could do is sit and stare in wonder. Most amazingly of all, if you explore a little further out, there a more and more squares to discover. 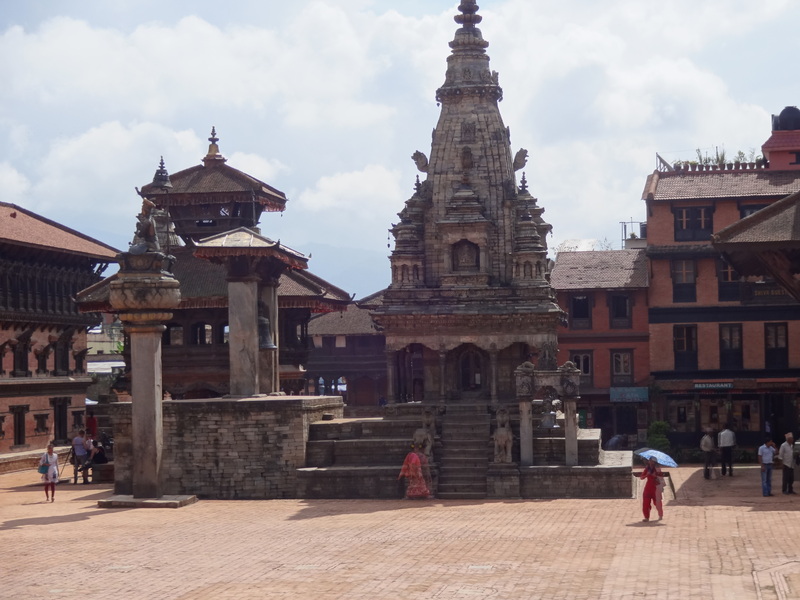 Durbar Square may be the largest and most impressive but it is not a small remnant of ancient Bhaktapur, it is just part of the whole amazing medieval preservation which is alive with everyday life and not just a tourist enclave. Anyone mad enough to come and visit us absolutely needs to spend a few days here. We’ll be back too. Oh, my gosh, the updates and photos keeps getting more intriguing! I know that I’m mad enough to come visit – and the boys are now chomping at the bit about it too! So, we’ll have to talk about that when you return from London.